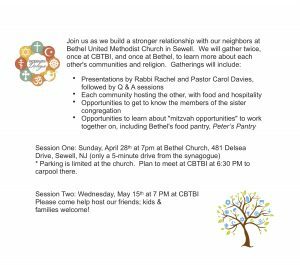 Anyone attending the April 28th event at Bethel Church is asked to bring a non-perishable food item (no glass) for Peter’s Pantry. Thank you! For more information about Peter’s Pantry, click here. For more information about Family Promise, click here. For more information about Bethel United Methodist Church, click here.